What to Look for When Buying a Dog Muzzle? Are Dog Muzzles Cruel? 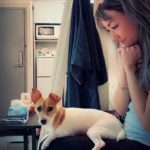 Do They Hurt My Dog? How to Know if My Dog Needs a Muzzle? What Kind of Muzzle Should My Dog Wear? Many people see muzzles as a form of cruelty. While it is true that misusing a muzzle could result in animal cruelty, it is not what they were made for. In reality, dog muzzles are actually meant for bark control. There is a multitude of reasons why a dog wears a muzzle. The most obvious one is to prevent your loveable pooch from injuring others upon fear. But even a non-aggressive dog could learn to use a muzzle. Muzzles can dissuade your dog from excessive barking, chewing, random eating and biting of course. Sometimes if a dog is recovering from an injury and your vet might suggest a dog muzzle in place of a dog cone. In some areas of the US, municipal governments require certain breeds to wear a dog muzzle. Whatever the reason, there are things to consider when browsing for one. Once again we’re going to take you through some choices and help you pick the right one. 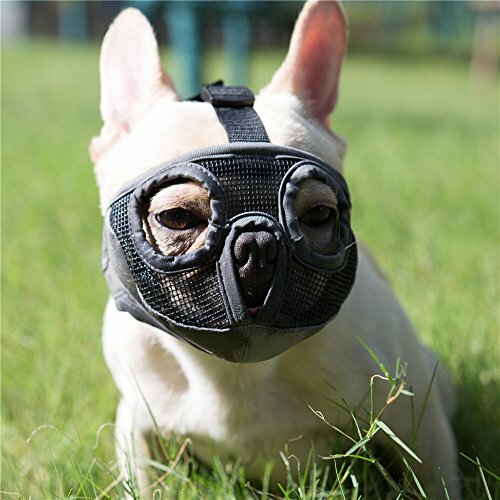 This type of dog muzzle is called a ‘basket muzzle’. The design doesn’t restrict your dog from eating, drinking, and panting if need be. The basket part of the muzzle is made from malleable thermal plastic rubber, which means it can be shaped and molded to fit your dog’s snout. 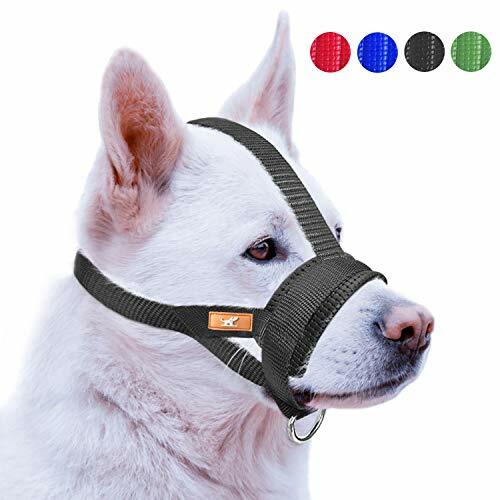 The two attachment points, one that attaches to your dog’s collar, and an overhead safety strap will ensure this muzzle will remain in place. This might not be suitable for dogs who like to eat anything they find on the road, but giving your pup enough space to drink at will is important. Why We Like It – Heat the basket of this muzzle to mold and shape it for a custom fit. The inside is lined with neoprene, the same material used to make wetsuits, which gives enough cushion around your dog’s snout. This style fits tightly around your dog’s jaws but still allows panting and drinking. The small buckles on the back are adjustable to find a perfect and comfortable fit for your best friend. 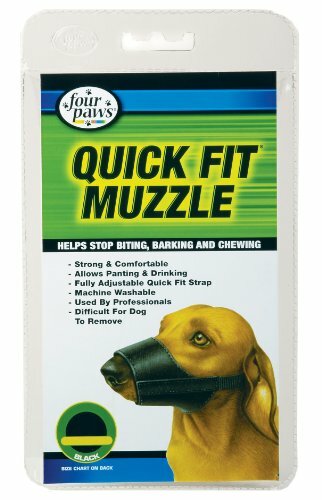 This muzzle is best to prevent biting, barking and chewing. 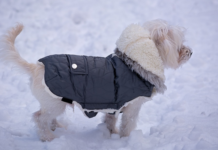 The completely washable nylon is soft enough it won’t bother your pooch but strong enough to stay in place. Are you worried you won’t find the correct fit? 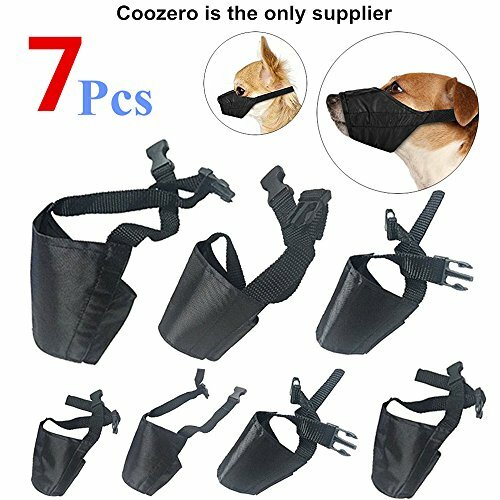 Don’t be because this dog muzzle comes in 9 sizes! It’s soft enough and still allows your pup to pant and breathe properly. Why We Like It – We love how this muzzle does its job but is soft enough your pet won’t realize it’s meant to deter him from doing certain activities. He will still be able to breathe, drink and pant. For the Pug and Bulldog owners out there, we have your back! This muzzle is for dogs with short snouts. Unfortunately for them, their muscle has to envelope most of their faces. But we think it’s adorable! 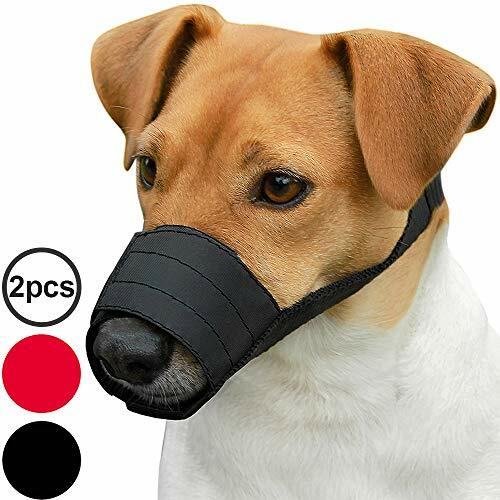 Your dog may look like Hannibal Lecter, but I assure you he won’t have breathing problems. The breathable mesh and durable nylon come together to create a comfortable yet durable design. The quick release buckle makes it easy to put on and remove because we know your dog won’t be going into this willingly. Why We Like It – There are two options, one which makes your pup look like he’s wearing a mask, and one that looks like a fencing helmet. Both are secure and comfortable options. Lepark Nylon Dog Muzzle is a simple design that consists of one strap that wraps around your pup’s snout, and one around its head. You must make sure it’s loose enough to give your dog the freedom to pant and move its tongue. Durable and high-quality nylon can stand up to daily use. This item doesn’t look ‘scary’ and lives up to its purpose. What’s important is it is easily adjustable and very easy to take on and off. It really breaks your heart to force this on your dog knowing full well they won’t enjoy it. The easy slip-on and buckle design minimize the struggle. Why We Liked It – It might look flimsy, but it is strong enough for your dog. 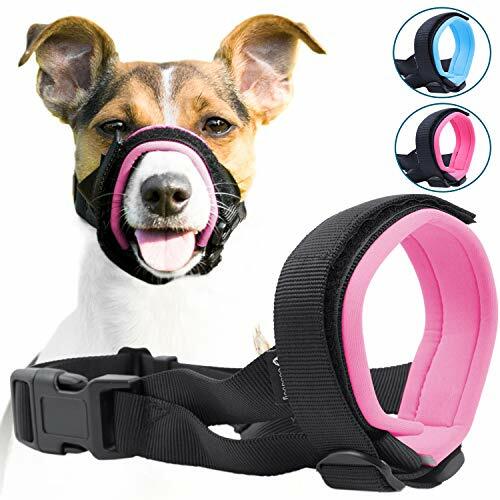 The strap around the mouth makes it difficult for your dog to wriggle out of. Get seven for the price of one! There is less of a need to measure your dog thoroughly because he’s bound to fit into one of the sizes. It’s easy to slip on with a fully adjustable strap and buckle. 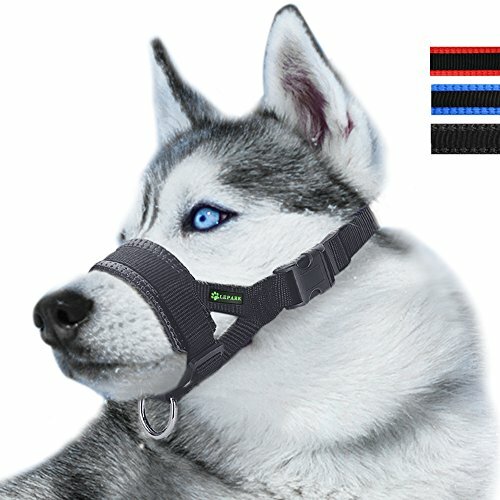 This pet muzzle will prevent your dog from biting, eating random scraps, barking, and licking wounds. Made entirely of oxford cloth, the material is water, wear and dirt-proof making it especially easy to clean. The light and breathable muzzle won’t hurt your dog and will prevent it from hurting others. If you are not completely happy with the product, CooZero offers a 100% money back and a lifetime guarantee! Why We Like It – I usually consider products with a guarantee a risk-free purchase. If by any chance the product is not to your liking, you don’t take a hit and that’s always a good thing! Just by looking at the picture, you can see why the word ‘gentle’ is in the name. The thick neoprene padding is very obvious and adds an extra touch of style. You can choose from a pretty pink for you fur baby girl, or a sky blue for your boy. 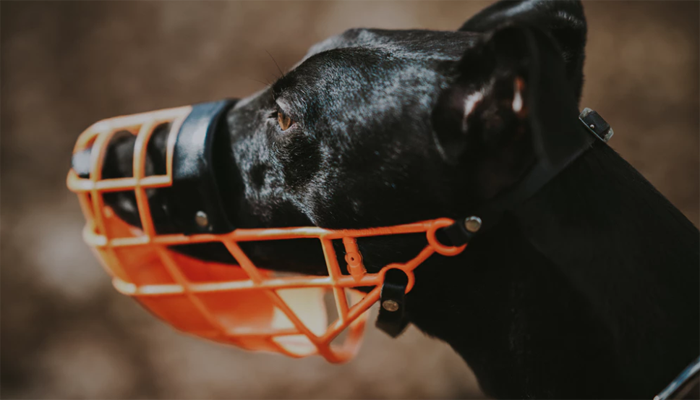 A ‘humane’ muzzle, this mouth guard prevents your pup from all the less than desirable tendencies, while still allowing it to breathe and drink. The bonus collar and connection strap will help keep the muzzle in place, even for pups that are master escape artists. Why We Like It – The high-quality buckles used to adjust the fit won’t loosen over time. Velcro for the mouthpiece adjustment makes it easy to customize the fit in increments. 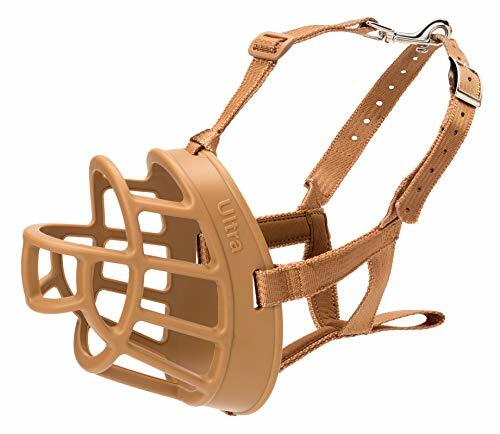 Also coming in multiple colors, the Petburg Dog Muzzle is multifunctional. Use it to prevent your dog from doing anything harmful to himself or others. The different sizes can accommodate any breed aside from ones with short snouts. The three-strap design makes it almost impossible to be pawed off by your dog. Need to loosen the muzzle? The quick release buckle allows you to take off the mouth guard and adjust the strap to find the perfect fit for your dog. Remember not to fit it so tightly your dog doesn’t have the room to pant or use its tongue freely. 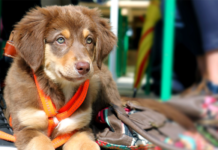 Why We Like It – You can customize the strap that fits between your pup’s eyes. If it’s difficult to wear the muzzle with the extra strap, just take a pair of scissors to it and improve the design. Why not make lemonade out of lemons? If your dog must wear a muzzle, a cute design might make it more bearable. 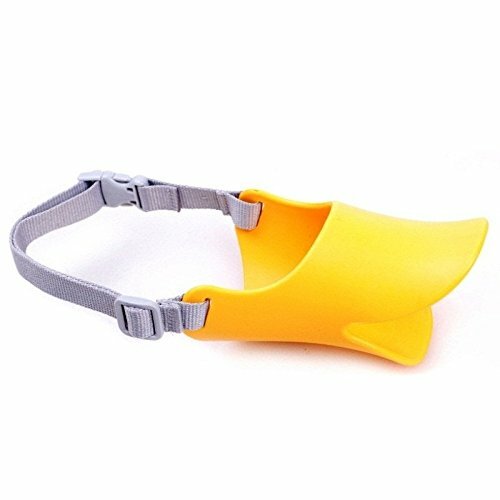 Give your dog the full freedom to breathe and use its tongue with this cute duckbill design. The long bill makes it hard for your pooch to reach its wounds or scraps on the street. Soft and comfortable, the beak is made with advanced silicone that’s lightweight. It won’t weigh your dog down and protects your kids and your dog as well. Slip the beak on over your dog’s snout and snap the buckle shut, it’s that easy! Why We Like It – Your pet doesn’t need to look like Darth Vader and strike fear into people’s hearts. The cute duck design offers the same protection, with a touch of cuteness without the intimidation. We love package deals! Get two for the price of one. Choose one red and one black if you have one male and one female fur baby. If you have a Jack Russell as I do, or a pup with a similar snout, this was made just for them. Slip this muzzle on easily in one swift motion. Intended to prevent the typical biting, barking and eating behavior, these guards are also great for a short visit to the vet or groomer. The nylon material is waterproof and easy to clean. It’s lightweight and durable, some even say their dogs don’t even notice it! Why We Like It – With the perfect fit, this muzzle can prevent all the naughty behaviors without restricting your dog from being comfortable. You can tighten or loosen the muzzle as much as you need to. The affordable price is definitely a selling point. The careful design prevents your pup from removing it with its paws. The strong nylon has a reflective ribbon print that comes in two colors for added safety. Don’t worry about choking or pain because the fit is easily adjustable and still allows your dog to breathe and drink normally. The wide soft straps won’t cut into your pooch or cause hot spots. This collar muzzle can double as a training collar when it’s strapped to a dog leash. It will encourage your pup not to pull and charge forward. Why We Like It – Not only does this dog muzzle prevent actions such as biting, barking or random eating, but it also allows you to maintain gentle control over your pooch while training. Training your pet to get used to a muzzle? Taking him or her on a long journey in the car? Or trying to get your pooch accustomed to new clothing? This is your new best friend. These calming treats balance their brain chemistry when they feel stressed and bring their mood right back up. 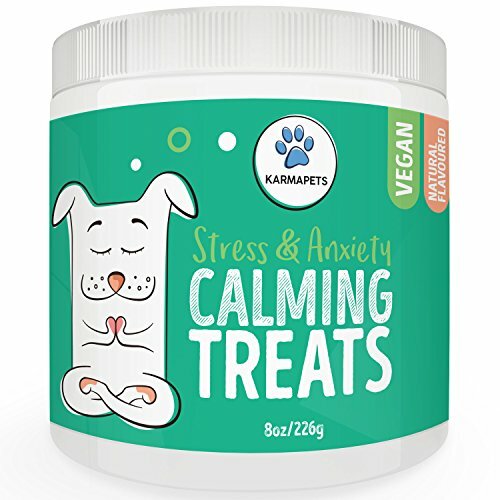 Get the calming feeling without the drowsiness with these vegan and organic treats for dogs. Not satisfied or your dog doesn’t like them? Get your money back 100% with their guarantee. Why We Like It – It’s so tough trying to get your pet to accept something new. One wrong move and all your efforts go down the drain. Keep yourself sane and your pet more accepting with these treats. Dog muzzles give people the wrong impression. When we think of a muzzle, our minds jump directly to the inhumane treatment of animals. 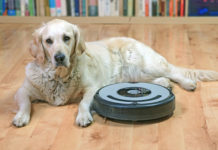 However, if used correctly, they serve as a useful aid to train and protect your dog as well as others. Still, you have the occasional dog parent asking if muzzles are cruel, and shake their heads at owners who use them. Now that you are better informed, we’ll pile on the information and guide you through what to look for when purchasing one. As you have seen, there are different kinds of muzzles out there. Let’s take the muzzle for short-snouted dogs out of the equation first. For them, they have only the choice of muzzles for short dogs or a breed specific one. Basket/Soft muzzle – The basket muzzle is one that is shaped like a basket. They are usually made with plastic, wire, or some even look like leather, nylon or mesh straps (soft muzzle). These muzzles look like a basket and give your pooch enough ventilation to breathe and drink properly but not to bite. You will more often see larger dogs with the wire type muzzle and smaller ones with plastic baskets. Sleep or Wrap – These muzzle styles cover the mouth and wrap around the snout to restrict movement. With these two, your pooch will have significantly less freedom of mobility. Because it’s more restricting, we don’t suggest letting your pet wear these for prolonged periods of time. Make sure you buy the right size. For length – Measure by taking a measuring tape to the tip of your canine’s nose and run it along with their snout all the way to about a half inch away from their eyes. For circumference – Measure the BASE of the snout. For a comfortable fit, allow some half an inch or so of extra room. 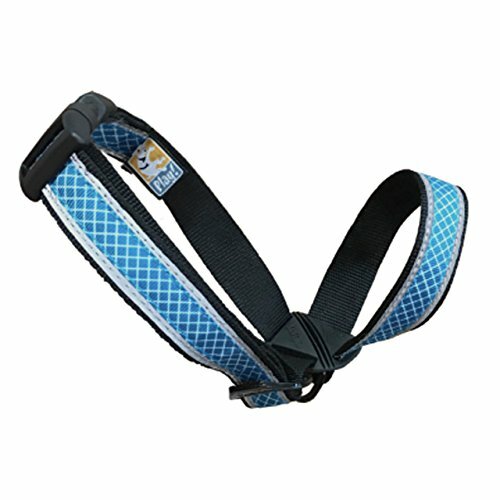 Dog muzzles with adjustable straps for the length and Velcro or straps for the width will facilitate the measuring process greatly. If used correctly, dog muzzles are not cruel and won’t hurt your dog. Do not use muzzles for prolonged periods. They inhibit basic functions like drinking, eating and panting. If you restrict your dog from these basic needs, then it WILL be cruel. A muzzle is NOT a long-term solution. It does not replace training and behavioral control. It shouldn’t be used as a form of punishment, and it will not address the problem and will eventually give your dog some form of PTSD. You do if your dog is injured. Due to their nature, dogs get aggressive when they feel threatened. If they are in severe pain or extreme fear, they will lash out. A muzzle is useful in this scenario. If your dog has a history of behavioral issues, even just once, we suggest using a muzzle. You do not want to be liable for injuries your dog causes; it won’t end well for you or your best friend. Some dogs love a day at the groomers. If you are not one of the lucky parents, your dog may become aggressive and hurt the groomer, so a muzzle is a safe bet. 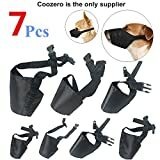 As mentioned before, certain countries and/or cities may have legislation, which requires certain breeds that are deemed dangerous to wear muzzles in public. Wire basket muzzle – These are better for large dogs. They can easily free themselves from soft muzzles and even break through plastic ones. Wire basket muzzles can stand against your large pooch. Short snout dog muzzle – You can easily see why these are better suited to short-snouted dogs. They are designed just for them and fit snugly on their faces/over their mouths. Even if you could get a basket muzzle onto your Pug, it won’t fit right and will make him uncomfortable. Plastic basket muzzle – This type is strong enough to subdue your little pooch. It gives them the freedom to pant and drink but is strong enough to stay on. Soft muzzle – A soft muzzle is the most versatile. They can fit with any dog, but better for a medium-sized dog with a long enough snout. For smaller pooches, we recommend this basket dog muzzle. It is super lightweight and secure but leaves enough room for your pet to breathe. The neoprene lining makes it more comfortable than you think, and the adjustable straps allow you to fit it perfectly to your fur baby. This wire basket muzzle is great for larger breeds. It is essentially a cage that allows your pet some freedom. The chrome-plated steel can withstand the force of even giant breeds and are thin enough to give ample ventilation. Even though this style takes up your dog’s entire face, the breathable mesh fabric gives enough ventilation. Short snout dogs might not take to this muzzle as easily but the durable nylon construction won’t give in to its pawing. The bumpers around the edges keep the mesh from digging into your pup. This is our top choice for soft muzzles. Not only is it sufficiently padded for extra comfort, but it also comes in pretty colors! Unlike the nylon options that cover your dog’s entire snout, this design is less suffocating and gives more freedom. Strong enough to control your dog’s tendencies, but soft enough it won’t bother him. It’s also easily adjustable and quick to slip on and off. Not every dog behind a muzzle is aggressive and raring to go. Unfortunately, that is the typical image but it just isn’t true. The primary purpose of a muzzle, just like any other dog device, is made for your benefit. In this case, dog muzzles also keep anyone and anything in your dog’s immediate vicinity safe, including your dog. In addition to that, they can also be used as a training tool. When they are used in the right situation and in the right way, they are humane and pain-free. There are a variety of muzzles on the market, and we hope our walk-through helped guide you in making the right choice for your pooch. You need to train your dog to accept a muzzle. Do not just spring this new and confusing contraption on him. All he will be thinking of is how to get out of it and the end of that road isn’t pretty. Introduce muzzles at an early age if you can. Let your dog sniff the muzzle and give him a treat. Let him lick, smell it, paw at it and show you he accepts it. You can then try to slip it on him but rewarding him with treats every step of the way. Take off the muzzle within a few seconds and reward him with another treat and some encouraging words. Repeat these steps until the muzzle is completely accepted by your fur baby. Increase the time you leave the muzzle on gradually, but don’t forget to give him a reward and maybe a pat on the head! BSL (breed-specific legislation) in different countries require certain dogs to be muzzled. 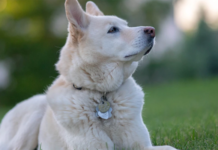 Let’s take a look at some general breeds that fall under this law. And the list goes on. You can refer to websites online to read about restrictions in your specific country.